The use of harsh chemicals is not the only way to clean a toilet. Most people choose to use regular tablets or chemical cleaners as they are convenient. However, no scrub natural toilet tabs are an option if the use of chemical products is not preferred. Making your own toilet tabs is a convenient and cheaper option that only requires the use of items found in your kitchen. The way these tabs work is they will fizz when dropped into the toilet bowl. These are a great way to keep a toilet smelling fresh with a bright shine. One thing to keep in mind is the tabs are not meant to remove heavy build-ups of residue. If you use these tabs regularly, then scrubbing toilets will never need to be done again. Natural toilet tabs are made using products that you may already have on hand. If you find that various ingredients are not available, then a quick trip to a local grocery store is necessary. One ingredient that most people already have in their kitchen is baking soda. However, citric acid is also needed and might need to be purchased. You will also need to have one or more ice cube trays to form the tabs. 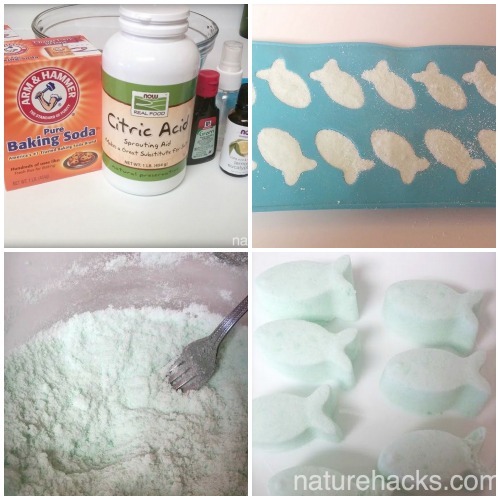 Making all natural toilet tabs is just like mixing ingredients for a simple dough. You need to follow the instructions to mix the ingredients together the right way. The best container to use is a glass bowl (although other types of bowls will still work). Very little water is needed as the citric acid is the bulk of the liquid used to bind the ingredients. One thing to keep in mind is a mixture that is too wet will not be effective when added to the mold. The best aspect of natural toilet tabs is they will set up after three to four hours. Keep in mind, your completed toilet tabs need to be stored in an airtight container. Make sure to follow all the instructions so your toilet tabs turn out as expected.